The lodge section of the Longhorn Ranch Resort is all new construction, with selections to meet the needs of everyone. 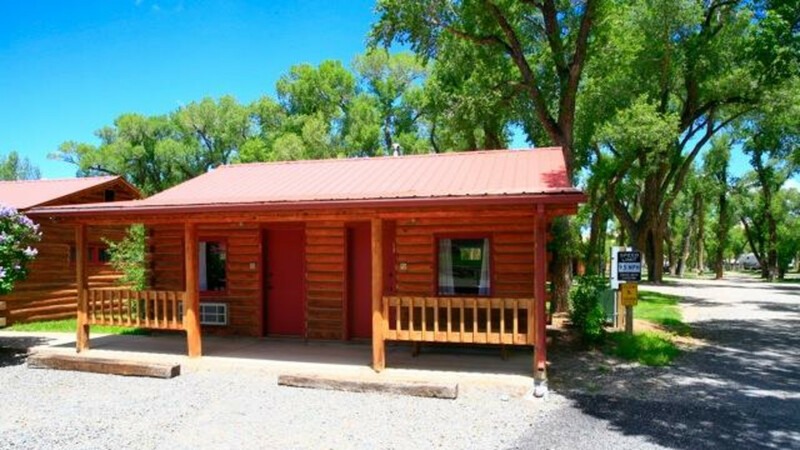 We have simple, but comfortable standard guestrooms all the way up to two bedroom cabins with kitchenettes and scenic patios. All rooms have private bathrooms. 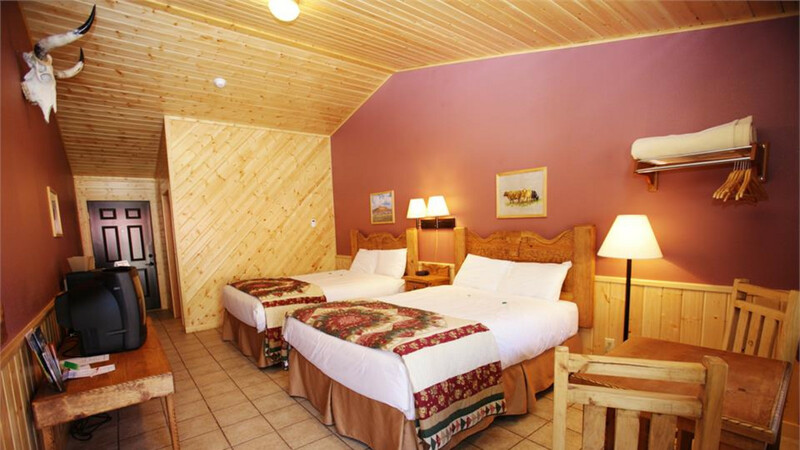 All rooms, cabins and suites feature cable TV, high-speed internet, tiled floors, rustic timber décor and panoramic views. Each accommodation is also equipped with air conditioning, refrigerators, coffee makers, microwave ovens and many also offer full cooking facilities. Roll away beds and baby cribs are available, Extra adults (beyond the stated maximum occupancy of the room) can stay for $10.00 per night. Children 12 years of age and under can stay free of charge. 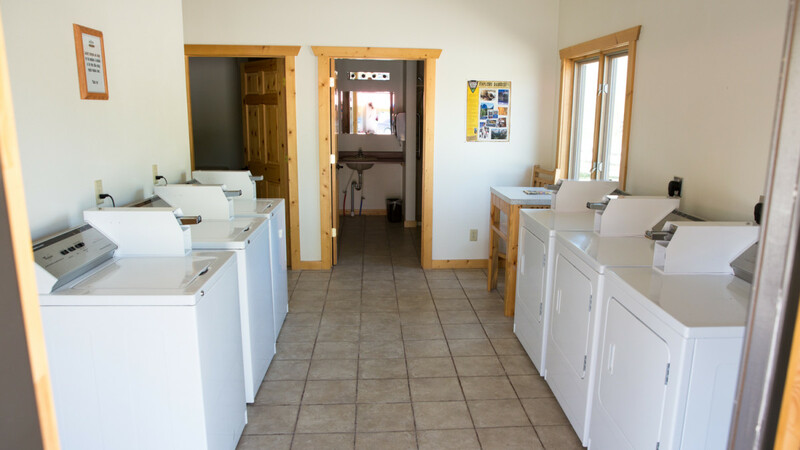 Our extensive RV resort is built by RVers for RVers. All sites are surrounded by cottonwood trees which provide shade and seclusion. 25 pull-through sites can accommodate RVs up to 100 feet long, and 17 back-in sites have room for RVs to 60 feet in length. No rig is too big for us to accommodate. Each site is well graveled and is situated in such a way as to provide maximum privacy and distance from adjoining sites. All sites also feature new, state-of-the-art hook-ups to power, cable, water, and sewer and have high-speed internet access. All sites also have fire pits and picnic tables. 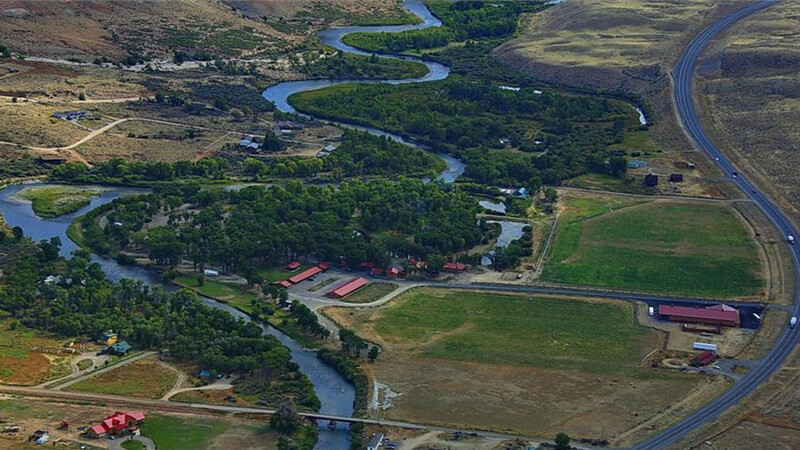 Every site is surrounded by cottonwood trees, and many are on the shore of the Wind River or along our extensive landscaped ponds. 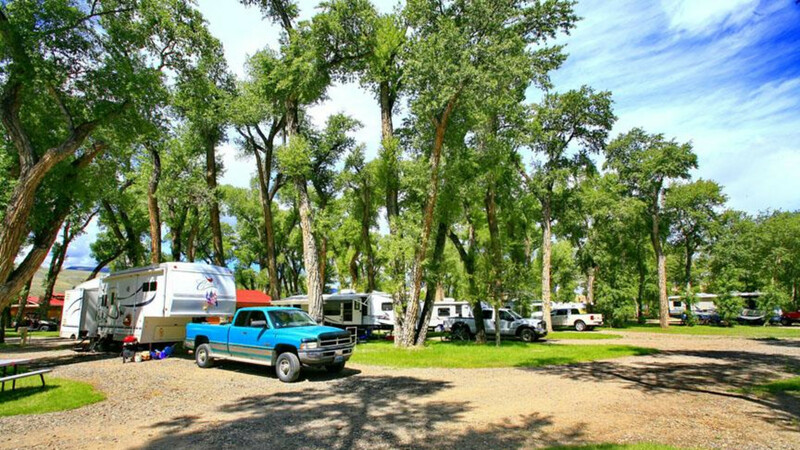 RVers remain with us for up to three months each year. Dubois is a true west town where real cowboys work and play. It is not uncommon for a cowboy to be riding a horse down the main street. Travelers who appreciate and enjoy the beauty and tranquility of the west will find that time passes very quickly and that one never gets bored.